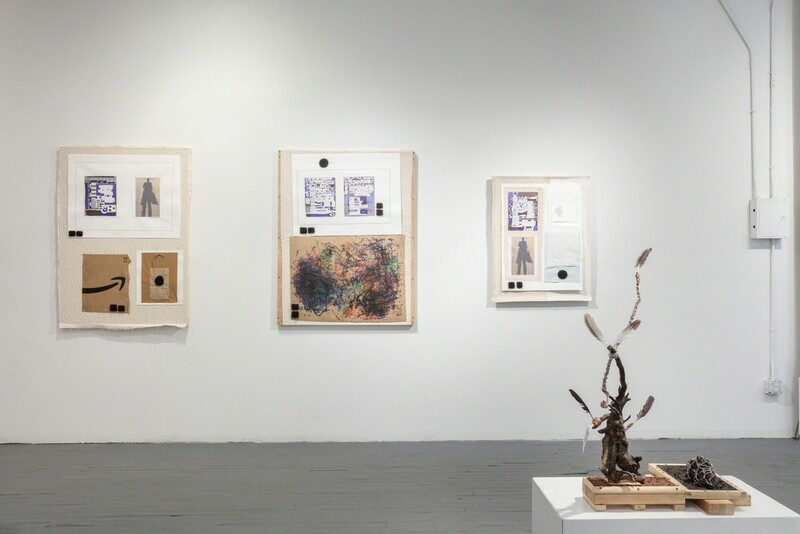 Slag Gallery is pleased to present The Big Picture, One Halo, Sculptures, and Drawings by Arthur Simms. The artist will be exhibiting sculptures and mixed media drawings. The sculptures date from the early 1990s to the present. The drawings are from over the last two years. 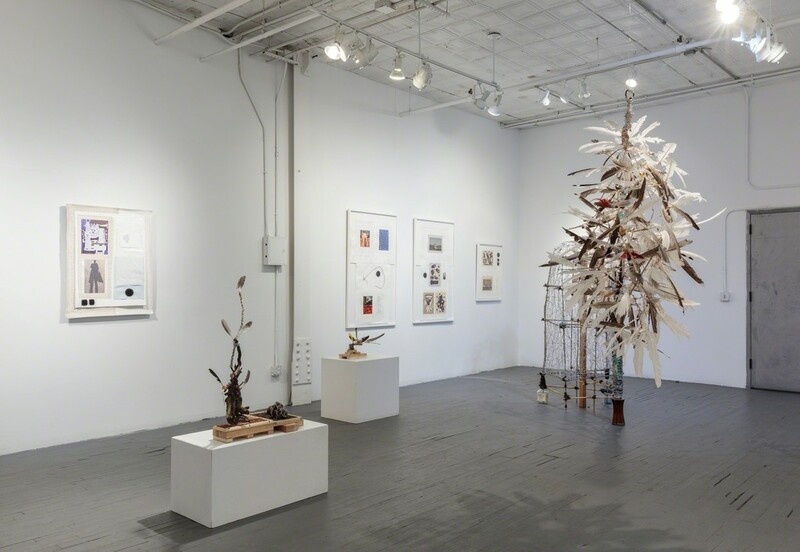 Arthur Simms' improvisational works incorporate the byproducts of our consumer culture - thrown-away furniture, tossed bottles, worn-out clothing, scrap metal, the discarded waste paper of junk mail - essentially, another people's trash. By transforming lowly materials into works that belie their humble origins, Arthur Simms performs his own, unique kind of alchemy. Redemption, both material and spiritual, is a central theme found in his practice. 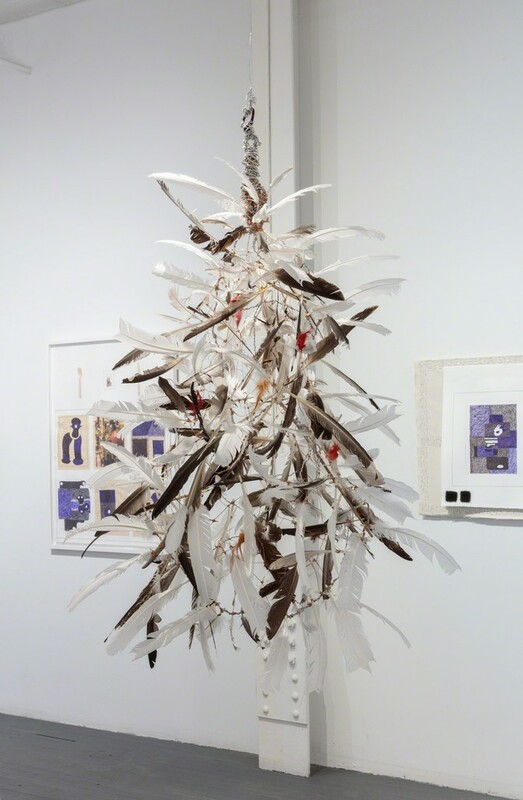 The sculptures of Arthur Simms are an amalgam of ideas, histories lived and studied, memories lost and imagined and the physical presence of objects that confronts the spectator in his or her space and asks to be recognized. The works articulate stories that speak of Simms trying to rationalize his world. 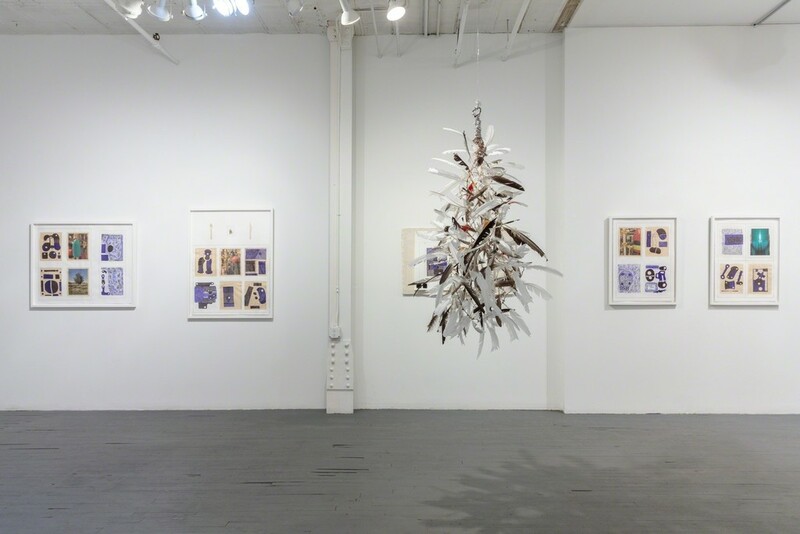 Often, color, reflection, scale and the thought process of how the viewer inhabits the same space and looks upon his work, played a significant role in the development of Simms' sculptures, mixed media pieces, and drawings. The sculptor Arthur Simms was born in Kingston, Jamaica in 1961. He emigrated to Brooklyn, New York in 1969. 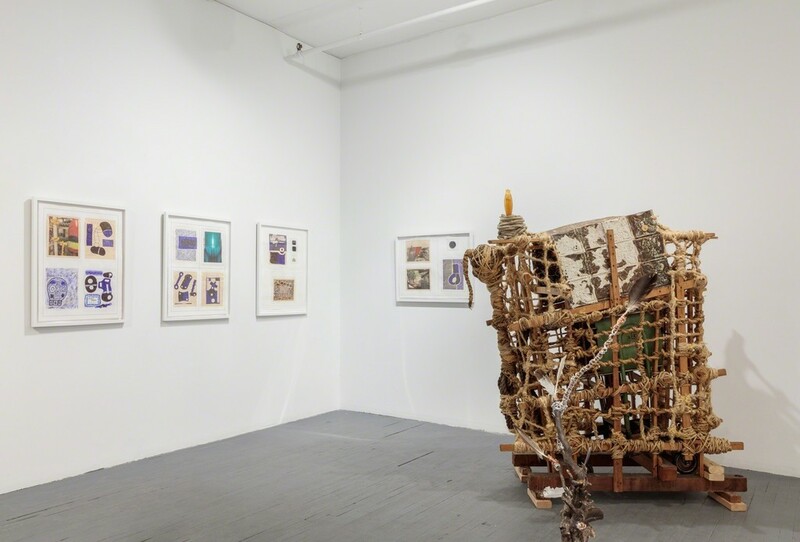 He received his MFA in 1993 and BA in 1987 from Brooklyn College. He has exhibited nationally and internationally, including representing the country of Jamaica in the 49th Venice Biennial in 2001. Other venues have included Musée International des Arts Modestes, The Irish Museum of Modern Art, Brooklyn Museum, Neuberger Museum, American Academy of Arts and Letters, MOMA P.S.1, American Academy in Rome, and the Queens Museum. Numerous awards include the Rome Prize Fellowship, Academy Award from the American Academy of Arts and Letters, Creative Capital Grant, Guggenheim Fellowship, Louis Comfort Tiffany Award, Residency from the Irish Museum of Modern Art in Dublin, New York Foundation for the Arts Fellowship, Rockefeller Foundation Bellagio Residency Fellowship, Joan Mitchell Foundation Grant, S.J. 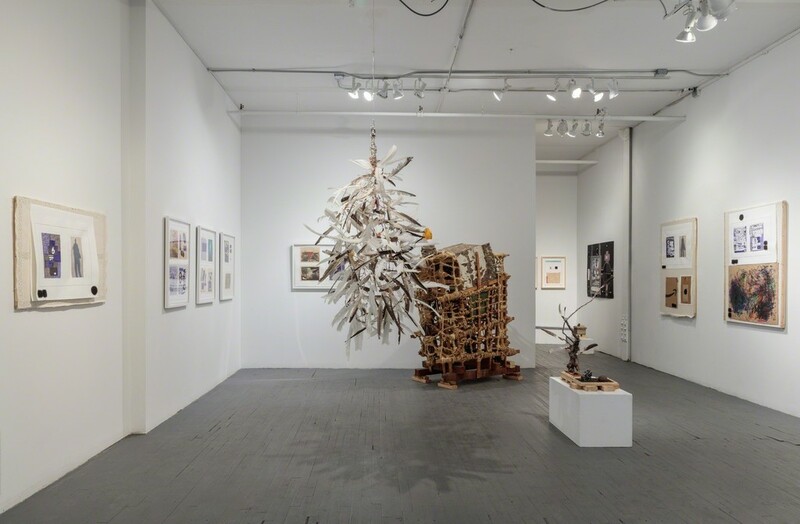 Weiler Fund Award and the Pollock-Krasner Grant. Arthur Simms is also the director of the Arts Program at LaGuardia Community College, CUNY.